Well, there is a God. Introducing the Sena Walletbook Case for iPod touch. Isn't it beautiful? 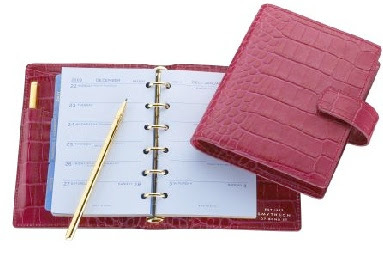 It's practically identical to one of my favorite leather diaries ever, the Smythson 2009 Bijou Organizer. See how it opens just like a book? And the front cover folds back easily so talking on the phone isn't awkward. Best of all, it's just $49.95. Here it looks completely at home atop a stack of antique tomes. I love the idea of dressing up a piece of millennium technology in the wrappings of a 19th century journal. I like to think Charles would approve.